Educated as an Architect and holding a Professional Architecture Degree I have been in the architecture and construction industry for over 20 years. I received my Florida State Certified General Contractor license in 1995 and started Constructure, Inc. in the South Florida area. For 20 years my company over saw the construction of every facet of commercial and residential types of construction, including multimillion dollar houses and, most recently the Ferrari showroom in Ft. Lauderdale. We have won numerous awards for craftsmanship from our peer groups, including the “Most Outstanding Craftsmanship For A Residential Project 2002”, for all of South Florida. 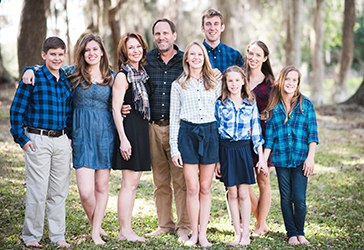 My wife and I started our new company, The Cottage Company, in 2009 to focus on building right here in the Highlands County area. I realize that the way our homes are designed and specified can have a real impact on our energy demand, and how much an owner spends on energy usage. I have become a Certified Green Professional through the National Home Builders Association. My goal is to incorporate new materials and energy saving options into the houses I build. Since acquiring the remaining lots in Covered Bridge in 2004, I have rezoned the property to allow single family site-built homes, worked with the Homeowners Association to donate land for their entry sign and landscaping, completed the neighborhood’s drainage infrastructure and paved the roads in the Phase One development at no cost to the community. Recently we were chosen from numerous builders to build the new Billiard Hall for the community. We enjoyed working with the association to complete this new amenity for Covered Bridge. My passion is to build right here in Lake Placid and I get no better satisfaction then to build for residents in the Covered Bridge Community.